By Craig | November 7, 2018 | This post may contain affiliate links, which means we may receive a small commission, at no cost to you, if you make a purchase through a link. Read our Disclosure. Have you heard of Bellingen? 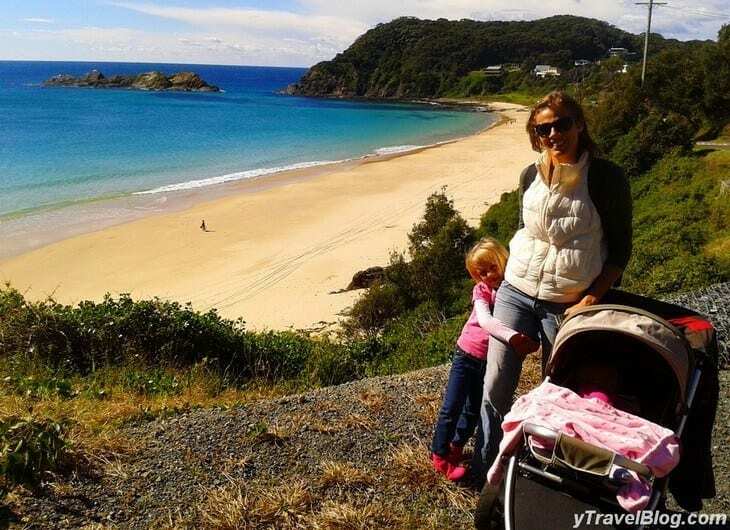 It’s a cool little town located halfway between Sydney and Brisbane in the Coffs Harbour region. 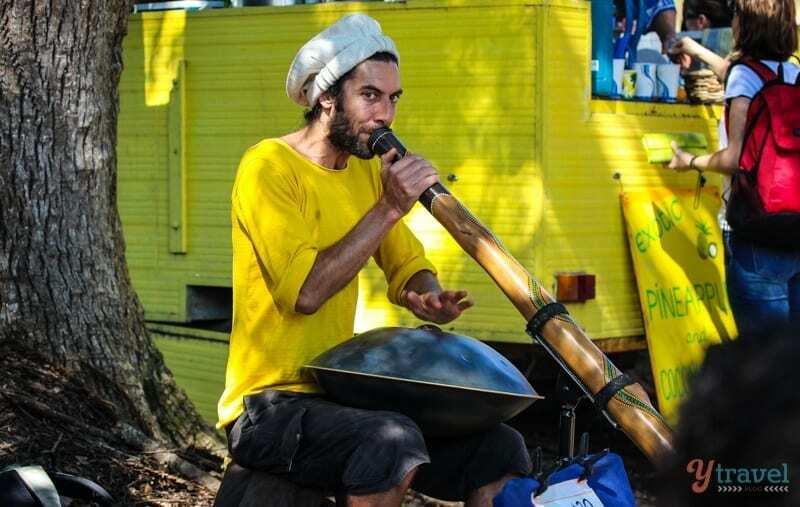 Bellingen is set in the valley just a 30 minute drive in from Coffs Harbour on the Waterfall Way. 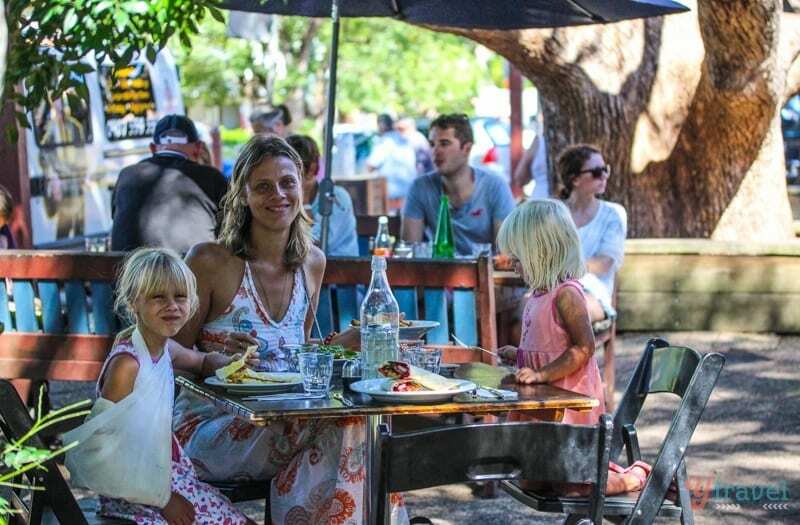 The vibe is super laid-back and I love the tree lined streets and how the Bellingen River runs through town making for a picturesque setting. 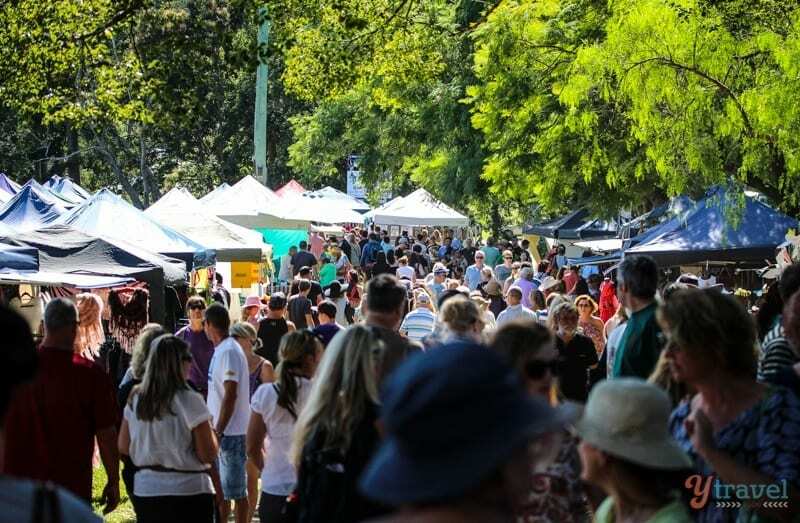 In case you didn’t know, this town is popular for another reason, the Bellingen Markets, which is one of Australia’s largest regional markets. These markets always get recommended to us by friends who live in the area and they’ve been on our NSW list for sometime. 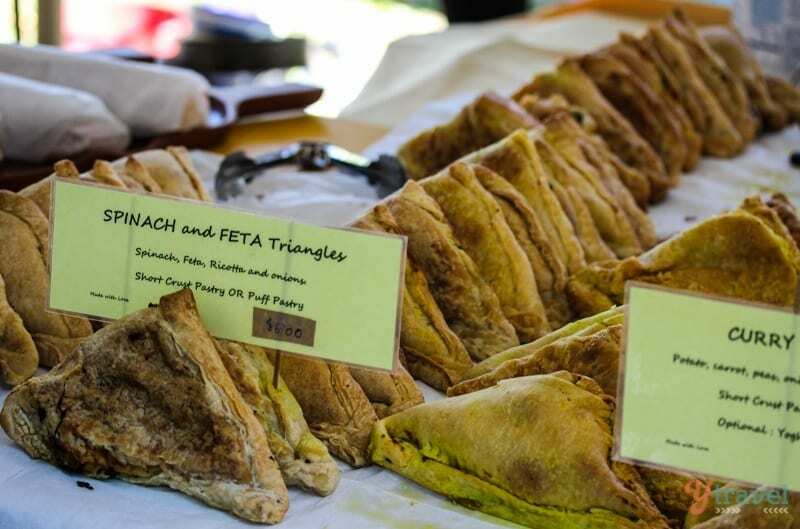 We love a visit to the local markets for a fun family activity, to hunt for a bargain and to taste some of the local produce. And the markets are always a great way to meet with the locals and other travelers alike. 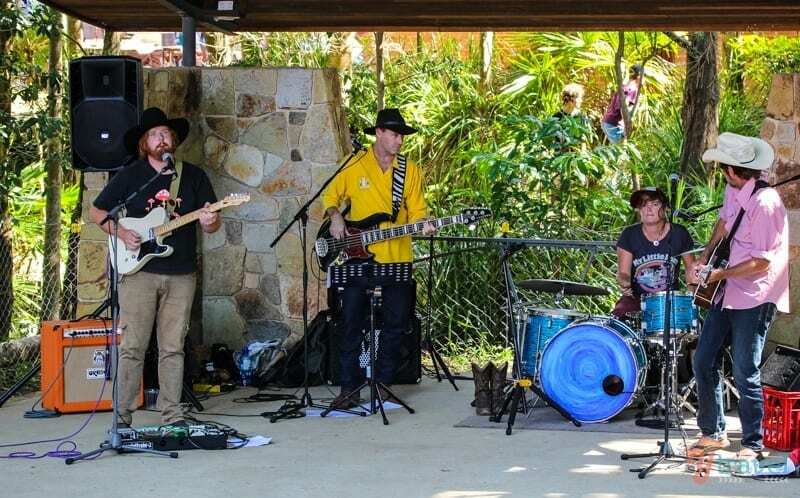 Whilst we’ve visited Coffs many times, the Bellingen Markets are only held every third Saturday of the month and we’ve never quite timed our visit before. 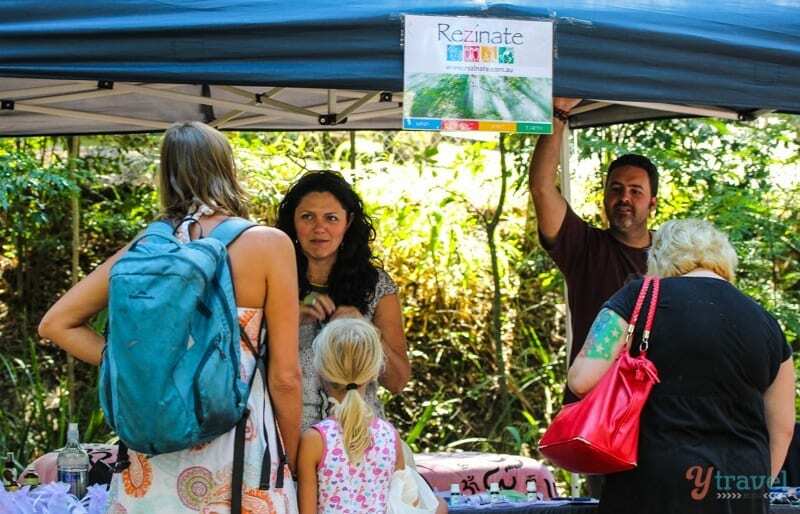 We recently stopped in Bellingen on our road trip from Armidale to Sawtell, and we timed it perfectly for market day. 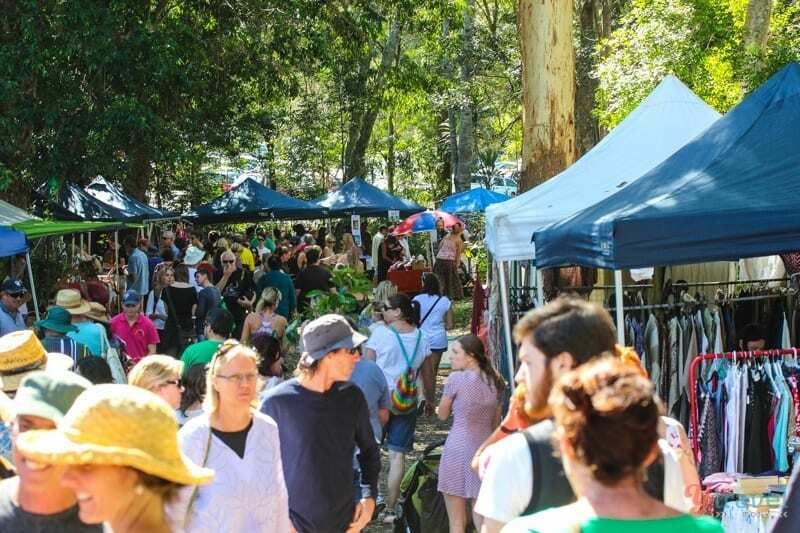 The Bellingen Markets have plenty going on with over 250 stalls offering your typical handmade arts and crafts, local food and fresh produce. From the minute you arrive you can sense why these markets attract thousands of visitors every month and we quickly got amongst the scene. Caz and Kalyra had their eye on a Himilayan salt lamp, which now illuminates our camper trailer of a night. 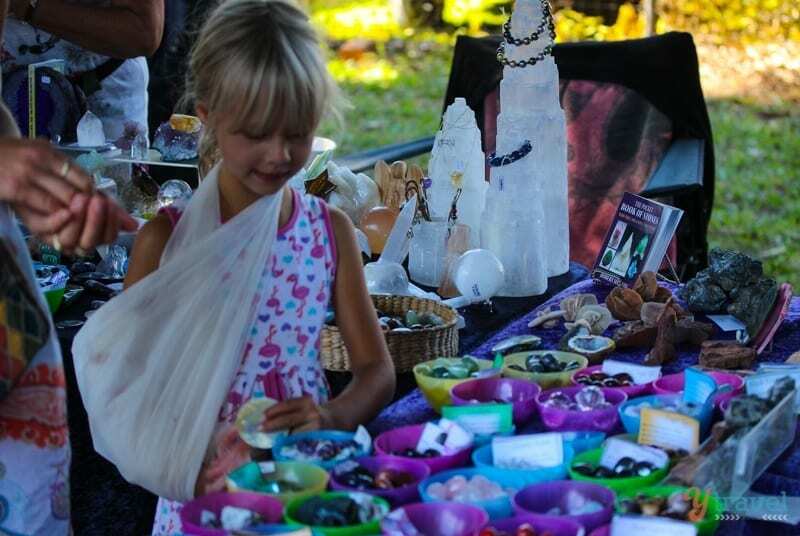 And the alternative therapies stalls are always a hit with the girls whenever we hit a market. 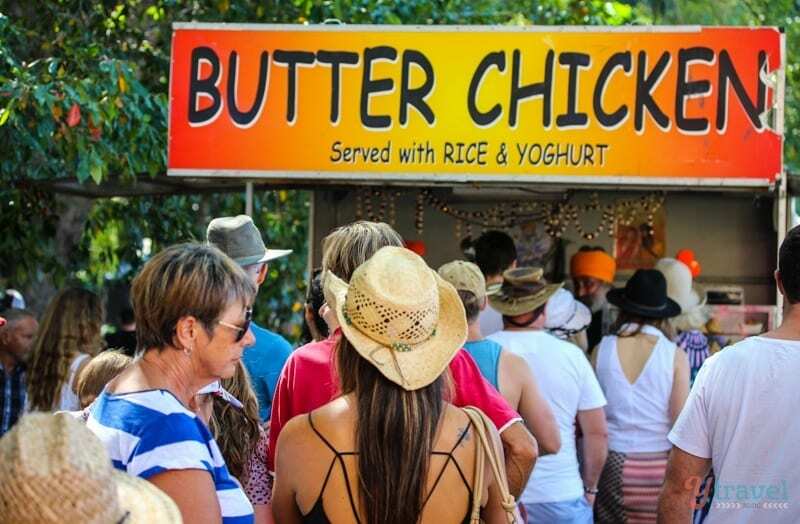 When you visit the Bellingen Markets, make sure you turn up with room in your tummy for all the yummy food on offer. We found this great stall serving up healthy gluten free desserts like chia balls and pumpkin pie which was a nice surprise. 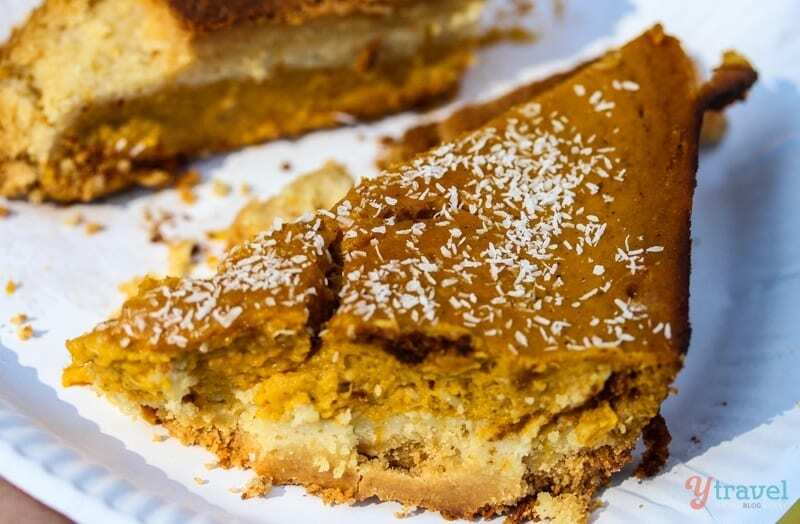 You don’t often see pumpkin pie in Oz – it’s one of my fave desserts from our time living in North Carolina. They also served up a nice cup of chai tea with a cozy place on the grass to relax. There’s plenty of dishes to satisfy your taste buds from pancakes to wood-fired pizza to wraps to gourmet sausages to Indian. Of course there’s a makeshift pub to wash it all down with. And it wouldn’t be a local market without some homegrown musical talent on hand to entertain the masses and add to the already chilled vibe. 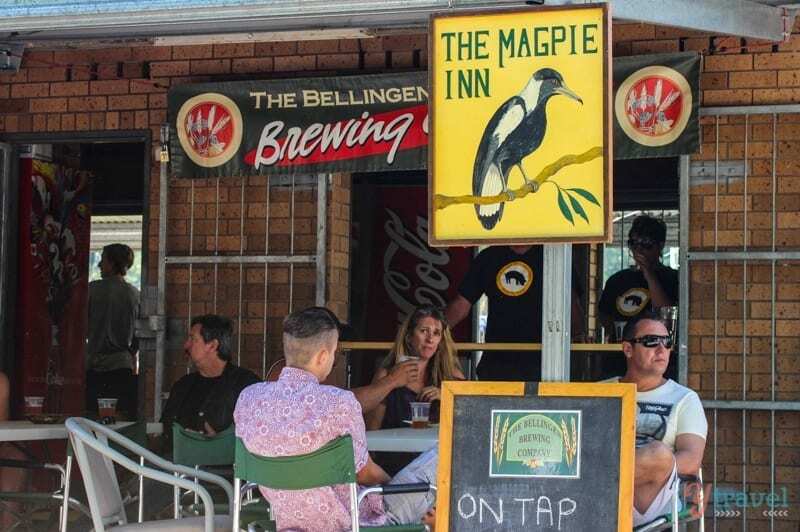 Once you’ve done a lap of the markets, or if you’re visiting Bellingen out of market day, take a stroll along the main street of town and check out all the shops, pubs and cafes. For lunch and a good cup of coffee, we recommend the Black Bear Cafe which is in a street just off the main road. 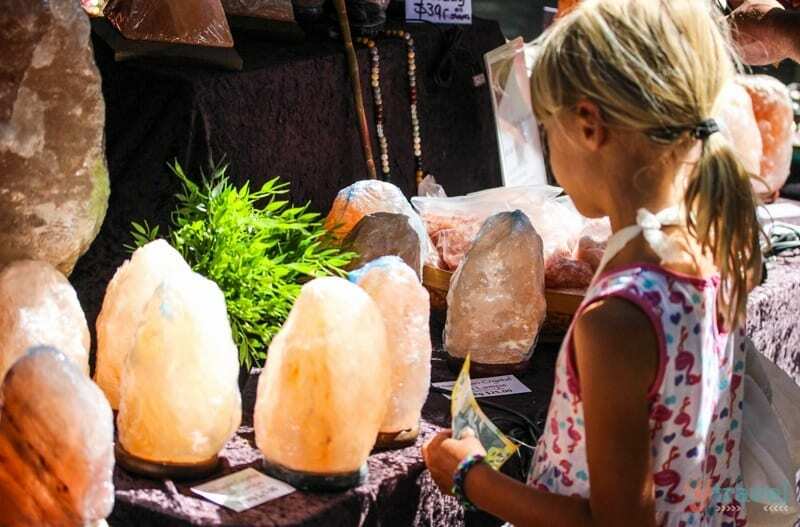 Next time you’re road tripping the coast along the Pacific Highway or heading in-land from Coffs via the Waterfall Way, check to see if the Bellingen Markets are happening, or stop in town anyway and explore. 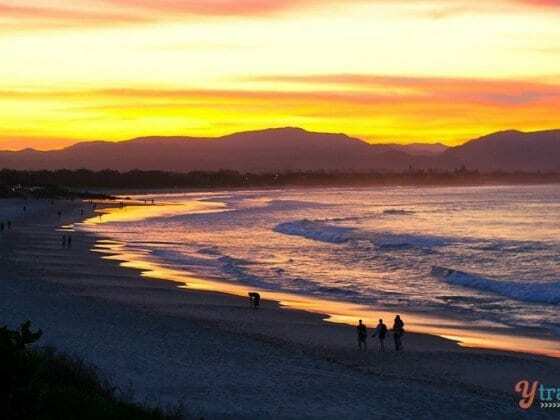 We highly suggest a visit as one of the must do things in the Coffs Harbour region. For information on the markets and the dates check out the official website. 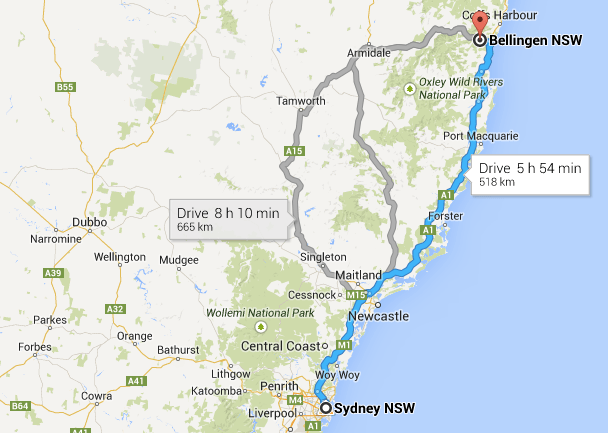 To get there, Bellingen is about a 6 hour drive (518km) north of Sydney. 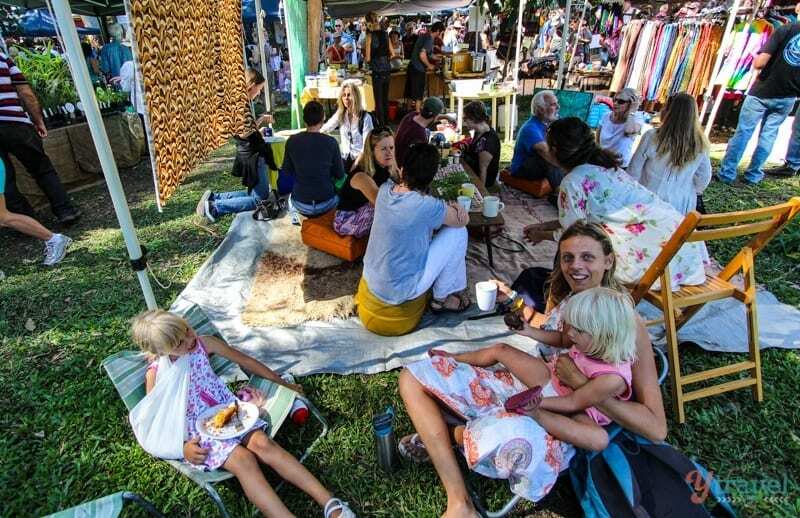 Have you been to the Bellingen Markets? Tell us your thoughts in the comments below. Or share any tips for the surrounding area? Who doesn’t like a good local market right?! Definitely drop into Bellingen next time Beverley! 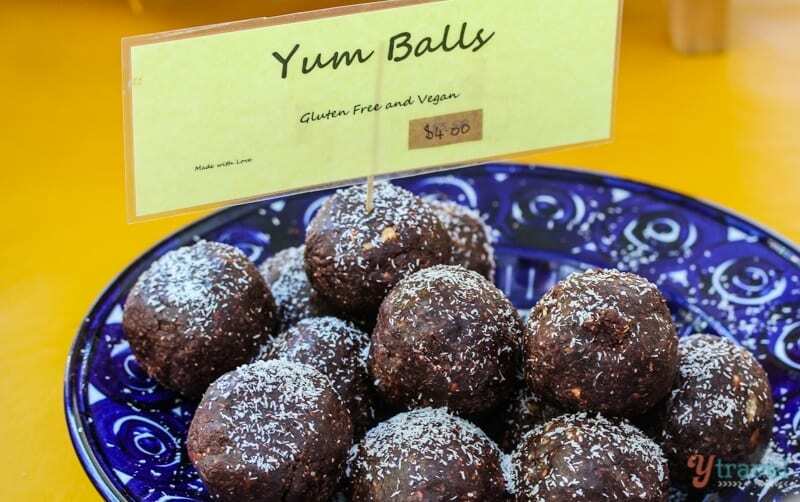 Yum balls sound interesting! Butter chicken however… I’m there! If I’m honest, everything is looking very tasty! I’m glad you really enjoyed your time at the Markets, looks quite impressive! Thank you for coming to visit our cafe! We always love hearing positive feedback. We hope to see you and your followers next time you are exploring the wonderful town that is Bellingen. Well, we will be seeing you again, no doubt. Great town! Fantastic write up & photos. I should know…I live in one of the best places in the world.. I haven’t been to Bellingen for years. My Nan lives near there in Nambucca and when we visited her as kids we would always go to Bellingen Markets. I have memories of Nan buying us these giant pink meringues with sprinkles on them as a treat. My aunt and her family is living in Australia right now and she said that going to Bellingen Markets is her favorite thing to do! She really loves in there because she can relax from her busy working days and can choose different and affordable food prices. I love these sort of markets. My list of places to visit over on the east coast is getting longer everyday! Bellingen Markets are awesome. If I get a chance I will visit the market. LOVE Bello! We lived at Coffs for a while, I didn’t make the markets often, but I did love them. You’re making me miss the North Coast with posts like this! So glad you guys are having a great time. You’ve done a better job at heading North than us, we’re still cruising in Victoria, trying to warm our bones after Tassie a bit, in the unusual sunny weather happening down here. I didn’t know about this market.. Great article..